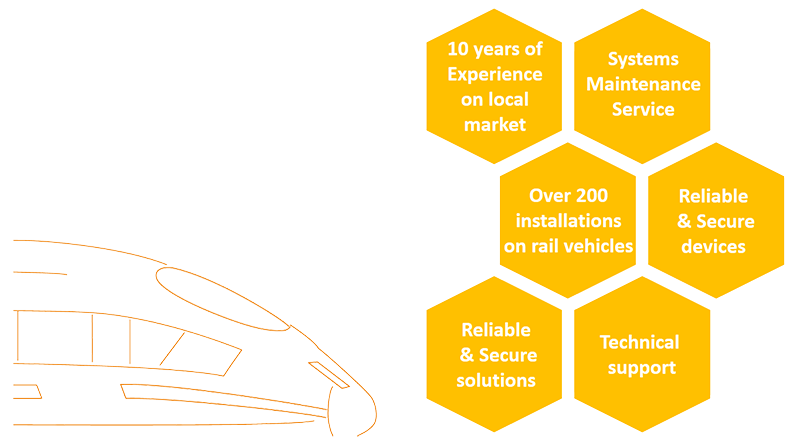 Ledatel is a Polish leader in rail telecommunication system. Company specializes in Rail & Military system integration. Our domain is also sales of devices, components and elements of electrical and electronic industrial equipment. We are on the market from 2007 and we cooperate with domestic and foreign producers in order to create a complete and attractive offer for our customers, constantly expanding it new suppliers and new products. Our WiFi solution works in the newest Polish trains (Koleje Mazowieckie eg. Impuls Newag, Pesa Sundeck, Pesa Elf, PKP IC eg. Pesa Dart, Newag/Stadler Flirt and in a lot of modernized carriages), what confirm good understanding the Customer needs. We have been awarded in prestigious competitions and have implemented a quality management system ISO 9001 and IRIS certificate to improve the quality of services.